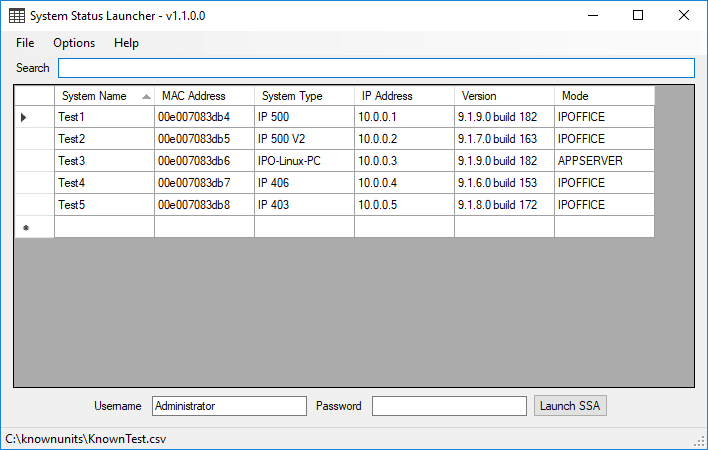 I thought I would share with you all a tool I developed to help with managing IP Office phone systems. This is designed for those of you that use the Known Units file in Manager to connect to your customer's phone systems. System Status Launcher essentially adds the Known Units functionality that you use in Manager to system status, this allows you quickly connect to your customer's phone systems in System Status without having to go through the motions of launching Manager and opening the config first. Please leave your feedback, bug reports and feature suggestions either in this thread or PM me. After I set the loginname and enter TAB, the cursor does not go to the password field. That's a minor issue, but if it can be fixed easily.. Thanks for the suggestion, I'll add that to the list of things to fix. Should be pretty simple. you may want to make an FAQ out of this because then it will be available for a longer time when this thread has gone down in popularity. 2. password can be save? by the way it's really a goooooood design. 1. There currently isn't a way to create the Known Units csv file in System Status Launcher. The intention is that you use the Known Units file generated in Manager. 2. This isn't something that System Status Launcher can do at the moment, and not something I am keen on doing. This is due to the security concerns of storing passwords. If I can find a way to store the password in an encrypted way so that it can not be accessed I may look at including this in a future version. I have now released a new version. Introducing System Status Launcher v1.2.4.2. - Fixed User Interface Scaling bug. UI elements now scale correctly. - Fixed tab bug. You can now use tab to move between fields. 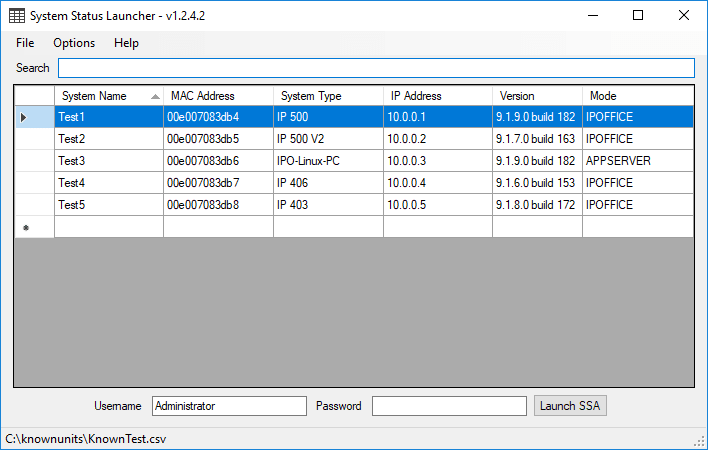 - Fixed System list bug, system list now scales to fit the width of the window. - Added Automatic Check for Updates. Application will now notify you on launch if a new version is available. - Added Check for Updates option to Help menu. Introducing System Status Launcher v1.2.4.2. How do you get the known units csv file? I've tried everything to get it out of my Manager program and I can't seem to do it. Tell me us what you tried Azrael.. I opened manager, went to the bootp item, selected an entry, and tried to copy / paste, export (from the import export menu), opened an excel spreadsheet, and tried to create a .cxv with the information, but nothing seems to have been seen. Known Units files are generated by Manager. 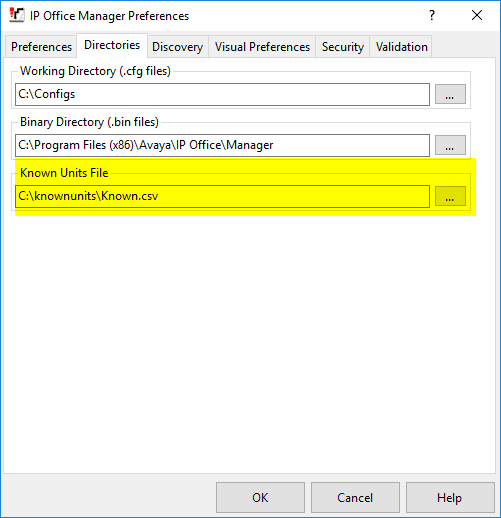 You need to set your Known Units File path in Manager preferences.